Total Trauma Cleaning is part of the 'Total Brand' group of services owned by Rubbish Clearance and Waste Removal Limited. We are able to offer a first-class service and rapid response to domestic commercial and industrial customers alike. 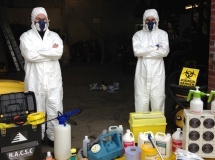 We do our utmost to solve your problem, clearing and cleaning extremely traumatic, difficult and hazardous properties and locations in a professional, effective and discreet way. Whether it's your home, office or land, we will do our utmost to be on-site within 2 hours of receiving your call day or night, 7 days a week, 52 weeks a year. We use a combination of white unmarked hi-top long wheel based vehicles, and luton boxed vehicles, only using magnetic signage when appropriate to do so, i.e. (approaching an R.T.A. clear-up). 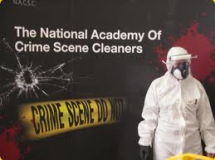 Trained and equipped by the National Academy of Crime Scene Cleaners, who are there 24 hours a day to advise both you and ourselves, enabling you to access the advice you need, and giving us any additional back up required. Please phone Jim for any trauma cleaning or clearing needs on 01329 848737 Office or 07984 501822 Mobile, 24 hours a day 52 weeks a year 365 days a year. 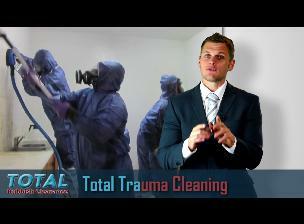 Trauma cleaning and clearing is a very very specialised area to work in. No two jobs or two customers are the same. In fact, often the customers who call us are traumatized themselves, by the unique events that have led them to call our number. Some might even find it difficult to actually articulate what exactly has happened because of the emotions that arise. On answering your call, we will compassionately ask for as much information as you are willing or able to give. Sometimes we've worked just on the address given and a mobile phone number. We do understand that customers call us, on occasion, at a very difficult time for themselves, their family, or even their company. 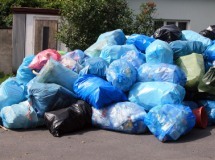 We will endeavour to get someone to you within 2 hours, day or night, seven days a week to assess your needs, to put a working plan in place to deal with the situation, and then if agreeable to you, call in the cleanup / removal team to start the process of clearing and cleaning your property, land, office, industrial unit or vehicle. 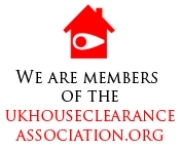 We deal with the smallest of clear ups to the largest, houses that have for one reason or another become very unpleasant, to large residential houses or commercial buildings that have flood or sewage damage, or the aftermath of accidents or major crime scenes. We can liaise with family members, emergency service workers, landlords or property agents, coroner's removers, undertakers or sometimes even friends of people who are too upset to call us themselves. 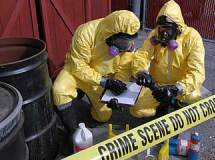 We are fully equipped and trained to deal with the unpleasant to the extremely traumatic. We can deal with aftermath of violent or traumatic death, to the aftermath of a road traffic accident. We can deal with bad smells to insect control. 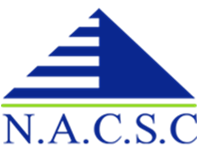 We have the full back up of 'The National Academy of Crime Scene Cleaners', and with all their experience and ours, we can deal with your needs effectively, for a very competitive price for this specialized service. Please call me day or night, and whenever possible I will take your call personally.